The University of the Fraser Valley women’s soccer team opened its preseason schedule this week with a pair of scrimmages on the road against tough U.S. opponents, sustaining a pair of losses. On Tuesday, the Cascades traveled to Oregon to take on the Portland State Vikings, and the NCAA Division I side handed them a 6-1 defeat. On Thursday, the UFV women were in Bellingham, Wash. to face a different program with the same Vikings nickname – the reigning NCAA Div. 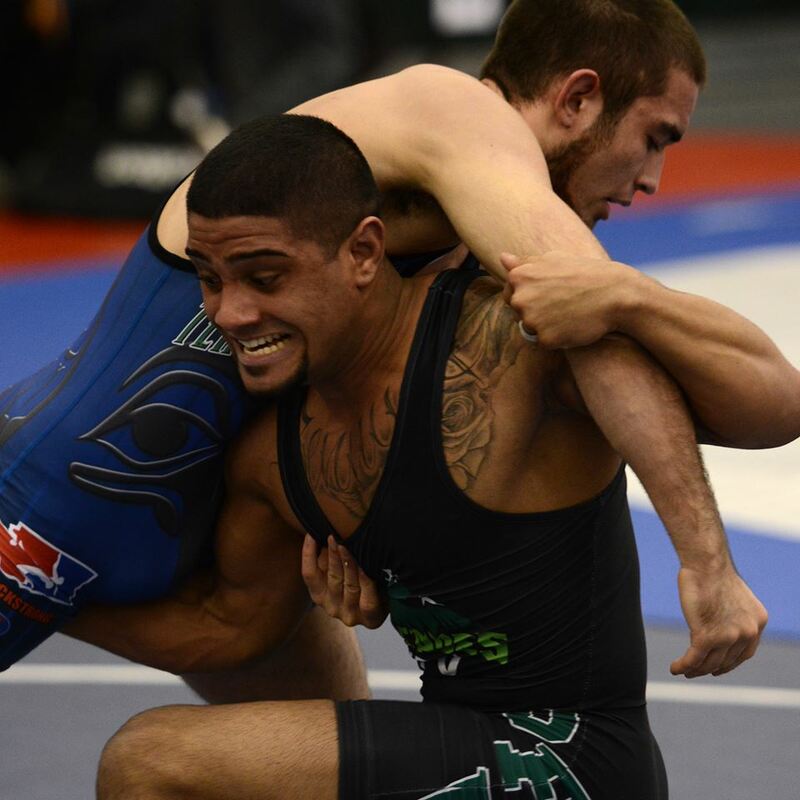 II national champions from Western Washington University – and dropped a 4-1 decision. The Cascades ramp up their preseason schedule this week, as they embark on a four-game stateside road swing. They’ll face the University of Puget Sound (Aug. 23), Concordia University (Aug. 24), Seattle Pacific University (Aug. 26) and Central Washington University (Aug. 27) in a series of scrimmages. Puget Sound is an NCAA Div. III program, while the others are NCAA Div. II. Giesbrecht’s squad is gearing up for the Canada West regular season, which they open with home games Sept. 8 and 9 vs. the Victoria Vikes and UBC Thunderbirds, respectively. Both games kick off at 5:30 p.m. at MRC Sports Complex, Field 4. The Vikings of Portland State raced out to a quick 3-0 lead over the first 23 minutes of the contest and cruised from there. 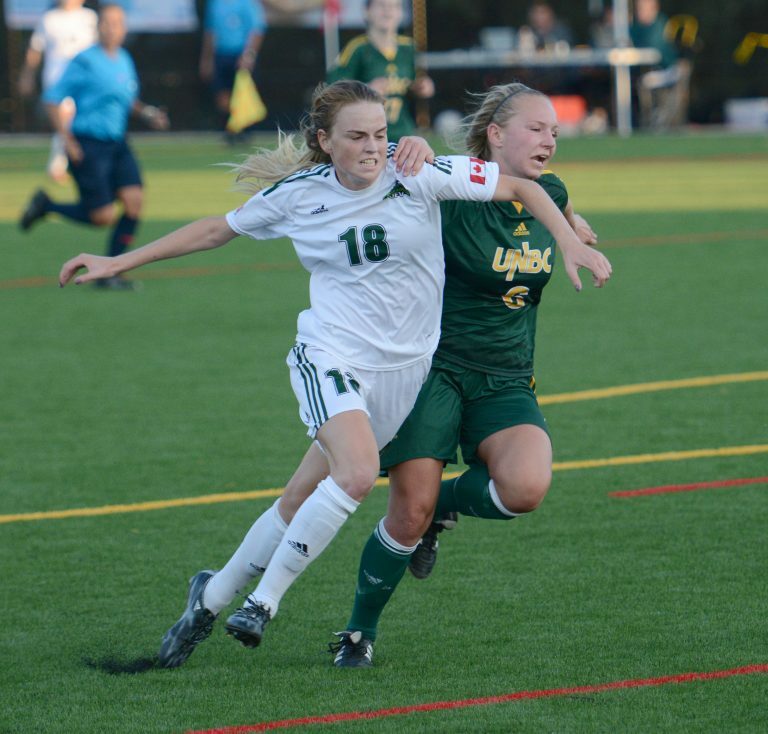 Rookie midfielder Janelle Henke got the Cascades on the board in the 58th minute with an outstanding effort. Giesbrecht felt his squad had some promising offensive stretches, but were done in by defensive miscues. Facing an outstanding opponent coming off an undefeated championship season, the Cascades once again found themselves trailing 3-0 before finding some traction thanks to Simi Lehal’s strike in the 40th minute. Off Brittany Zacharuk’s corner, the sophomore volleyed a shot home from eight yards out. 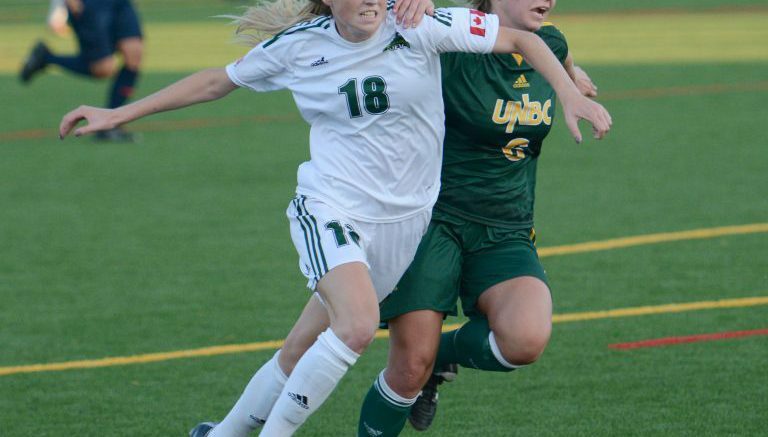 Be the first to comment on "UFV Women’s Soccer Pre-Season Loss"